First graders are working on a unit about all things then and now and their teacher asked if I would tell them a little about our school. One day several years ago I was rummaging around in the paper room and noticed an old cardboard box shoved over in a corner. My curiosity got the better of me and I pulled it out and opened it. 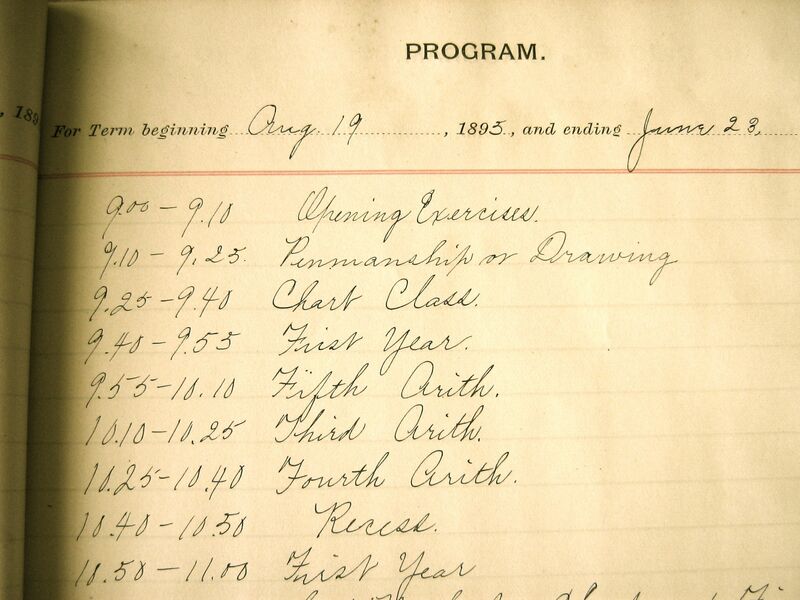 It was as if I fell into a time tunnel….there, in the box, were school registers from the late 1800’s and early 1900’s with beautifully handwritten lists of students names, daily schedules, lists of “apparatus,” and even logs of corporal punishment! 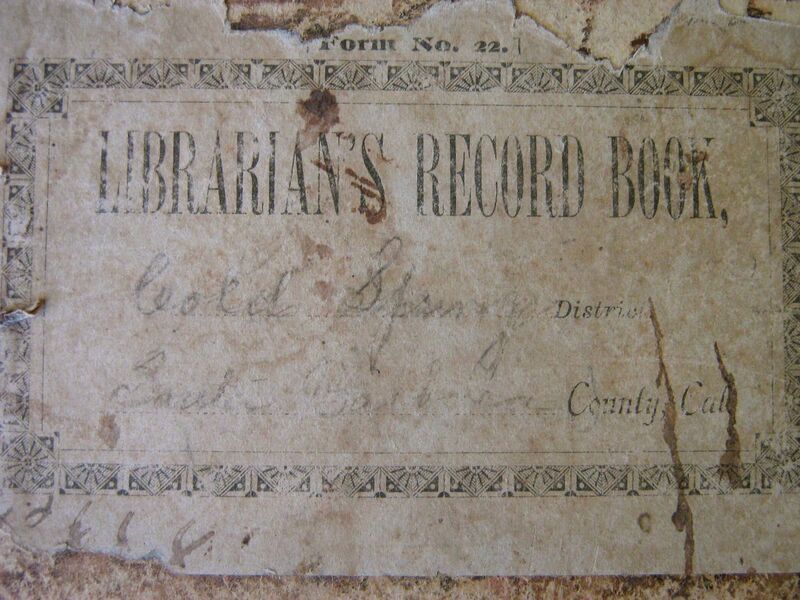 There was a handwritten catalog of 600 books in the school library! I decided these amazing documents needed to be in a much safer place so they now reside in our school library. Hopefully one day we can get a display case to exhibit them. In the meantime I have photgraphed them all and they are safely on our server (and backed up on my home computer, too). 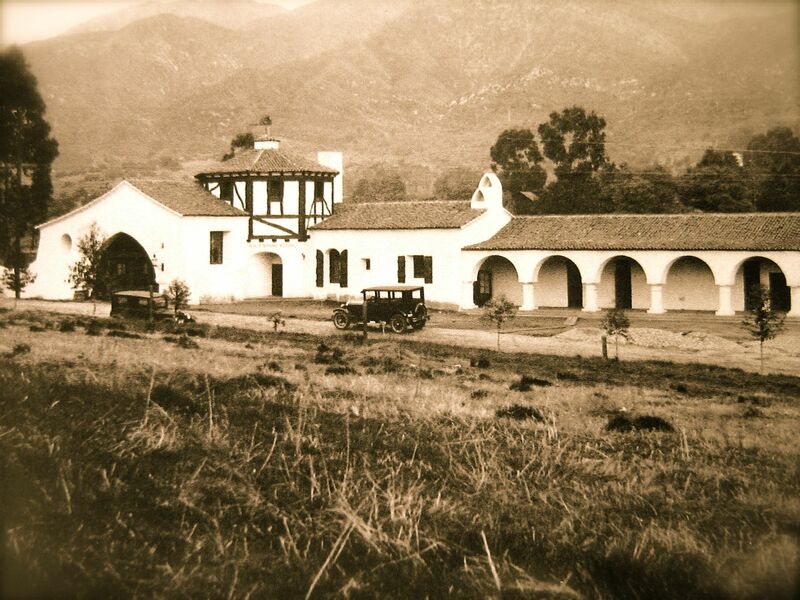 They have been a wonderful tool for showing students about the history of our little school from its one room beginnings to our beautiful present day campus. Here are a few more photos of the pages. Kindergarten–Poor Mr. Greely. He finally plants his vegetable garden and three pesky rabbits keep munching on this plants. Candace Fleming’s Muncha! Muncha! Muncha! is the story of his efforts to keep those bunnies out. Besides being a charming and hilarious story, this book is a great way to intoduce prepositions and it has a lovely ending, showing that sharing might be the best solution of all. Second Grade, Third Grade & Fourth Grade–This week all three grades played “Name That Book”–a fun way to review the different reference books in our Library. Fifth Grade–Fifth Graders used our atlases this week for State Symbol research which ended with a very challenging wordsearch! Sixth Grade–Using BrainPop as our introduction, sixth graders watched a short movie about making a bibliography as they will be starting their research projects in the next week.